Joseph Disponzio, ASLA, wants us landscape architects to know where we came from. His lecture at Harvard University’s Graduate School of Design, which honored Frederick Law Olmsted, shed new light on the origins of landscape architecture as well as the debate surrounding the field, which has lasted almost as long. Disponzio, preservation landscape architect for the New York City department of parks and recreation and director of the landscape design program at Columbia University, said what we recognize today as “landscape,” the modeling of land, really began with the garden. The transition from garden to landscape has everything to do with a shift in the understanding of nature in the 18th century. Disponzio pulls up a slide with three interlocking circles: God, Nature, and Man. He points to the circle at the top of the triad that reads “Nature.” This, Disponzio tells us, is the “metaphysical lynchpin” that became autonomous in the Enlightenment. He identifies this as the moment the wall of Eden fell and a new space was created and, with that, a new way of modeling the land. Lockean empiricism replaced Cartesian rationalism. Nature got a sudden promotion. Leading up to the 18th century, nature had acted as the base of all philosophical inquiry. And then, rather suddenly, it became the subject of investigation in its own right. And its secular study led, of course, to the natural sciences, with substantial consequences for the practice of landscape design. Throughout the lecture, special credit is given to the work of Jean-Marie Morel (1728 – 1810) for effectively replacing the art of gardening with the science of gardening, bringing it one step closer to the profession of landscape architecture as we know it today. Frederick Law Olmsted may be known to us as the first to call himself a professional landscape architect, but he borrowed the term from the hyphenated title architecte-paysagiste within Morel’s theoretical texts. Disponzio also points out the English term “landscape” is a new invention, but in 18th century France there was no clear distinction between paysage and jardin, neither scalar nor qualitative. 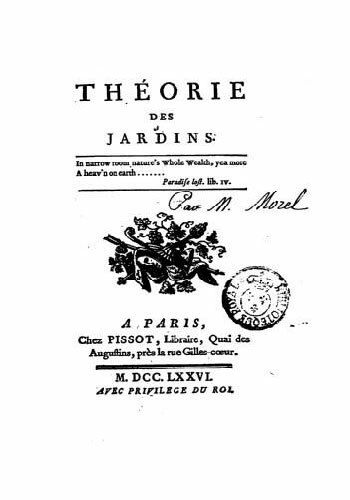 Morel published his text, La Théorie des Jardins, in 1776 alongside numerous essays and poems written by his French, English, and German colleagues. 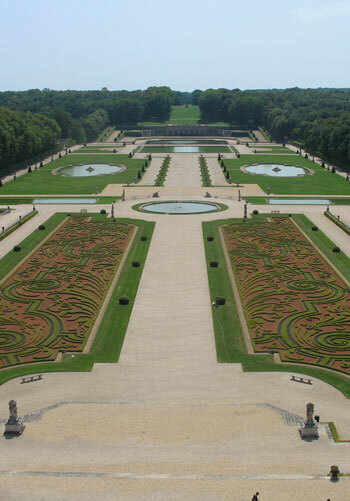 Together, the essays and treatises of Claude Henri Watelet, Henri Duchesne, Jean-Marie Morel and René de Girardin paved the way for a new landscape design tradition that would eventually become popularized as landscape architecture. The rejection of the Cartesian understanding of nature in favor of a new Lockean tradition did not come without a few sacrifices. Pre-18th century designs, which were rife with formal devices and meanings, no longer suited the intellectual trends that emphasized the secularization of experience. These regular geometries, as it turns out, were also ill-suited for anything other than flat surfaces. A new design tradition grew out of this boldly new, scientific understanding of land form. While landscape, from the study of painting, had been understood to be convex, flat, and concave, now landscapes had geological and ecological complexity. Disponzio said, “in their most secular act, they took a look beyond the traditional garden wall and at a view rich in pleasure, utility, industry, and ruin.” In practice, that meant taking up a body of knowledge and technique in related fields, such as geography, geology, and engineering. Landscape built up a vocabulary of its own. Natural forms devoid of icons and associations promoted the idea that the landscape should speak for itself. Land then came to be modeled with an entirely new agenda. Rather than impose rationalism onto the land mathematically, the landscape was to be read scientifically. The natural style synthesized all its elements into a cohesive whole, reflecting the underlying curiosity about how a landscape is composed, formed, and structured. The focus shifted from visual order to an internal order, which may have been perceived as chaotic but was organized according to the laws of nature. Here, Disponzio discusses the rise of interdependent systems as an integral part of the practice of landscape architecture. We recognize familiar territory. More than a hundred years after the first degree program within the field was established in this country at Harvard in 1900, the curriculum still reflects the methodology laid out in Morel’s 1776 Théorie des Jardins. Disponzio cites James Corner Field Operations and Hargreaves Associates as examples of contemporary practices that emphasize process-driven design. He also mentions the theory of landscape urbanism, the systems-driven approach to design, which is deeply embedded within the curriculum at the Graduate School of Design today. Even the recent research agendas of Jane Hutton and Anita Berrizbeitia, ASLA, come to the fore as instances in which iconic, designed landscapes such as those of Frederick Law Olmsted and Charles Elliot, are investigated through the lenses of geology and geography. Since the gardens at Vaux-le-Vicomte, which were built in the mid-17th century, we have been steadily broadening the scope of the profession by borrowing from neighboring disciplines and adopting new technologies in an effort to become true specialists of modeling the land. We are familiar with cartography, ecology, and urban design, along with ArcGIS, Google earth, software for digital drawing, 3D modeling, and even parametric design. The question as we move forward is: how often do we look back? Although Disponzio ended his talk without asking the audience this question explicitly, he urged us to take one more look at that decisive moment in history that led to the complete abandonment of the Le Nôtre style. What fascinates Disponzio is this sharp turn elicited no regrets. It seems everyone accepted the challenge to the status quo, as though landscape architecture as it’s practiced today was inevitable. In the end, we landscape architects are left with a silent request to look at ourselves, today, with a new understanding of our origins. And with this long view behind us, one cannot help but also steal a shy glance into the future of the profession. Very interesting Lara…I hadn’t really thought about the roots of landscape architecture till I read your article. Thank you! One of my favorite designs, which I have yet to see, is the Vietnam Memorial in Washington DC by Maya Lin. Incredible article! I want to read somewhere these lectures! Thanks a lot for sharing this amazing information! Regards! Excellent, insightful, well researched, thought-provoking and entertaining presentation. Thank you. 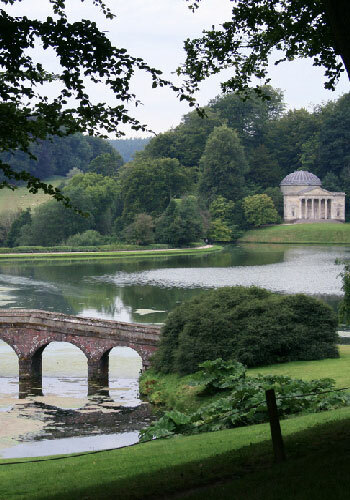 Where does the Italian garden tradition fit into this picture?